FRENCH STILL LIFE is an art print of an original painting of a classic blue and yellow art work depicting an Italian porcelain porcelain jar that sets off one single lemon beautifully. I love the French dish cloth that really makes a fabulous provincial statement. * Your print is shipped flat and well protected. 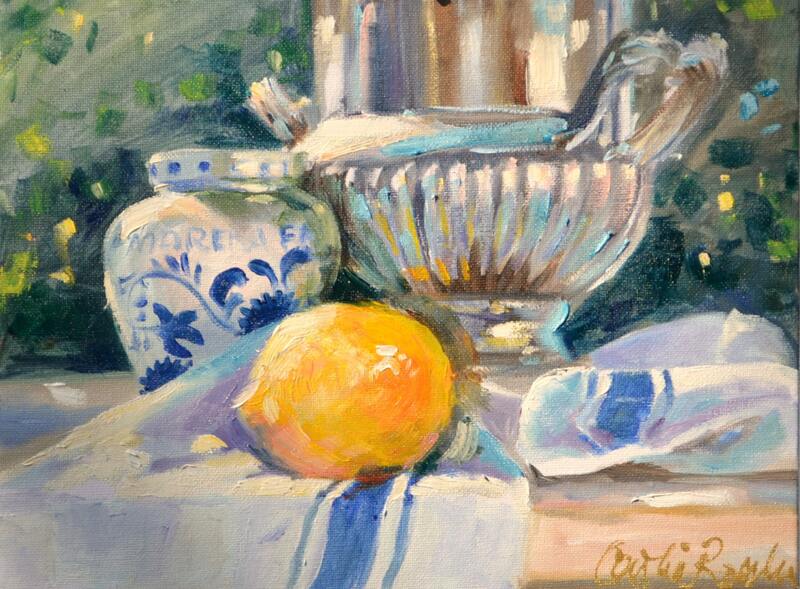 White Rose ART Print | Oil Painting by Cecilia Rosslee | Perfect gift for her! 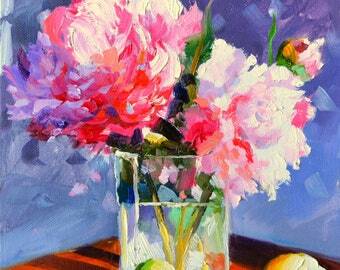 TWO PEONIES ART Print | Original still life art work in Pink and Purple by Cecilia Rosslee | Lovely gift for her! Purple LILACS Painting | Beautiful Original Still Life ART WORK by Cecilia Rosslee | Gift for her!